This is above a miracle to my generation. Glory to the Almighty God! THIS IS A GREAT, GREAT... MILLION TIMES GREAT EXPLORATION, TANKS TO THE ALMIGHTY GOD. MAY BE I'VE NO WORDS TO EXPRESS MY DEEPEST FEELINGS, THANKS TO THE ALMIGHTY GOD AGAIN. I ALSO WISH ABA GEBRE KIRISTOS LONGEVITY!!! My generation I said to you listen, listen to our fathers what they have said and told us....... all this miracles specially by the grace of GOD are appearing in our time, to show us that God is with us all the time and ETHIOPIA is a blessed nation. Our fathers told us their will be a blessed king to rule Ethiopia and that time ETHIOPIA will be rich in spirit serving GOG, rich in wealth and respected around the world. until then we will have suffering, displacement, bad government. I am wishing that day to see in my life time, what about you? Let us praise God who gave us a 17 year old monk who can walk with GOD and let us get our father blessing. Pray for our church unity, pray for our monasteries WALDBA, pray for the peace of ETHIOPIA. GOD BE PRAIZD FOR GIVING US SUCH MIRACLE IN OUR TIME. I thank god for all these !!!! Emebetachin bsedete gizy Yarfcebte bmhonu betam des bilognal. Let us praise God who gave us a 17 year old monk who can walk with GOD and let us get our father blessing. 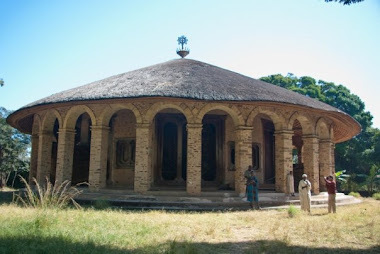 Pray for our church unity, pray for our monasteries WALDBA, pray for the peace of ETHIOPIA. TANKS FOR AMLAKACHIN GETACHINE MEDEHANITACHEN EYESUS KIRISTOS LZELALEME ALEM !! !